Analytics and data have become the buzzwords for HR today. But what are some problems with HR analytics that you should be wary of? While data and analytics are transforming the HR function, it is vitally important to ensure companies have access to the right information. Inaccurate data sources and reporting structures can prove costly. When they play a crucial role in business related decisions, they can even result in losses of millions of dollars. While problems with regard to data quality – including the accuracy, reliability, timeliness, completeness and consistency, play a key role in making data usable, there are other challenges companies need to be aware of. The problem of siloed data prompts the question – which data source does one trust? When companies have multiple data sources, drawing insights from several different systems can be a challenging exercise. The problem of siloed data prompts the next question – which source does one trust? At Dow Chemicals, a prior struggle with “spot solution” analytics led to inaccurate reporting. Don Gaertner, the company’s Global Director of HR outlined how the organization tackled the problem. Dow Chemicals created a global reporting warehouse with the goal of keeping all of its data in one place, which would then roll up to the highest levels of the company. One platform, one story. The second challenge that organizations are confronted with, is to do with data and information that often does not inform decision making. This situation arises when companies are left with spreadsheets and insights that travel no further. In order to ensure that these insights are valuable to HR leaders, data needs to be segregated into role-based, user-friendly templates. American Express is an example of a customer succeeding at finding meaning from HR Analytics.Thanks to dashboards with real-time metrics and trends, American Express’ HR group is able to measure recruiting effectiveness, drive its talent acquisition strategy, and manage individual recruiter performance. 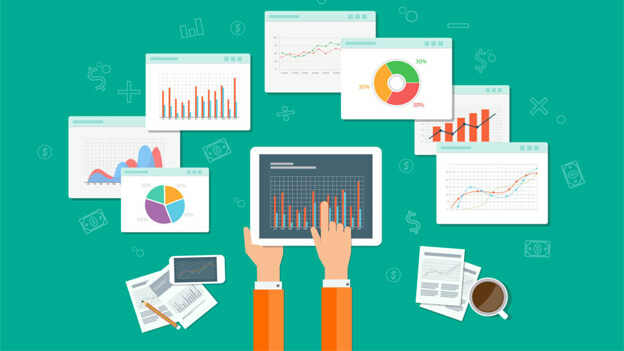 The lack of integration between finance and operations in an HR analytics platform may render the insights invaluable. An analytics platform should take into account an enterprise-wide view of data and reporting. Employee compensation, for instance, is an important cost head that top level HR, finance, and business leaders need to have visibility to. Having an enterprise view of data ensures that even the senior management does not have to wait for HR reporting to come to them – they can immediately access insights such as overtime reporting and make decisions based on those findings.